“My Heart Beats Only For You,” Moshe Ndiki Melts Hearts With A Romantic Message To Phelo Bala. The two have been painting the town red recently. 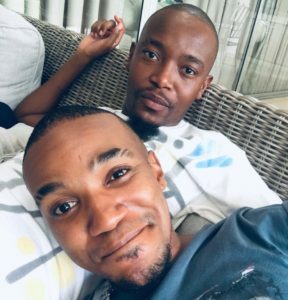 Moshe Ndiki and Phelo Bala have sparked rumors as the new celeb gay couple. Pictures of the two all lovey dovey are all trending on the internet. Fueling the dating rumors further was the fearless Moshe. The TV host and actor took to Twitter declaring what Phelo means to him. It beats only for you”..
Phelo’s response also melted us. They do look good together. The post “My Heart Beats Only For You,” Moshe Ndiki Melts Hearts With A Romantic Message To Phelo Bala appeared first on Youth Village.